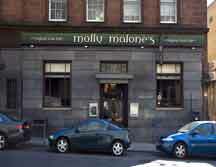 224 Hope Street, Glasgow. G2. Tel: 0141 332 2757. Opened in 1995, this split level Irish Themed pub. This used to be the Telephone Exchange.